UPCOMING: England & Co will be exhibiting at Photo London, Somerset House, and at Draw Art Fair, Saatchi Gallery, London. 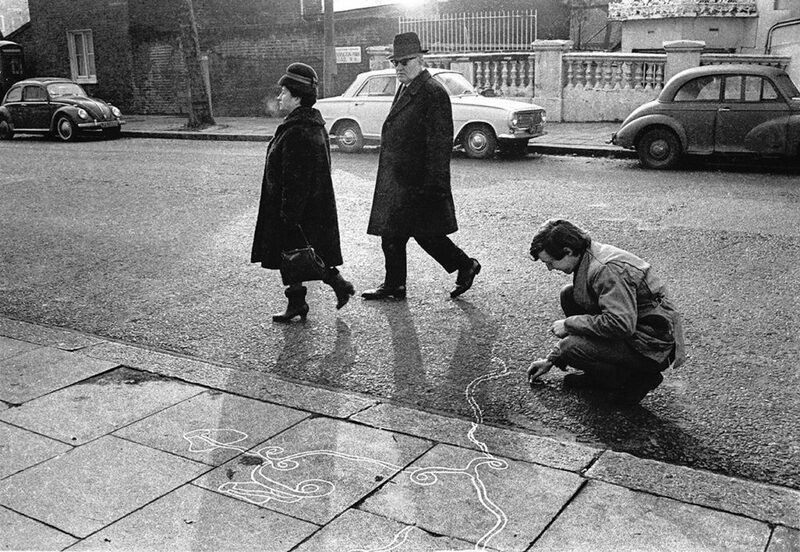 CLAY PERRY: Tjebbe van Tijen drawing on Kensington Park Road, Notting Hill (1966). Archival pigment print. NEWS: Acquisitions of works by Tina Keane, Cecilia Vicuña, Michael Druks and Paule Vézelay by the Government Art Collection, Guggenheim, Tate and Scottish Museum of Modern Art.